Summary: Dashlane password manager offers a comprehensive software package and customer experience to anyone looking to keep their passwords and other sensitive data secure. Casual users will love the lifetime free account option, while families and organizations will appreciate the suite of premium features offered at a very reasonable price. Sign up with Dashlane Password Manager today! We found that the Dashlane software was pretty easy to set up and the installation process was much the same for desktop and mobile devices. The app can be downloaded from Google Play, the App Store or Windows Store depending on which operating system you use. Once you have downloaded the software, you will be prompted to create just one master password to lock your vault. This is the only password you will ever need to memorize and this should never be shared with anyone else under any circumstances. The next process is for Dashlane to search through your computer system for any login details you may have already saved, it will then ask you to install a browser extension. The Dashlane interface is clear and simple to use. Setting up the software is straightforward and fast. It’s also easy to navigate, unlike some other websites that have confusing layouts and complicated download processes. We rate Dashlane very highly for its security measures as the company takes your online safety very seriously. The company are responsible for the safety of sensitive data for millions of their users and are actually one of the few password management companies that own a patent for its security architecture. They operate a “zero-knowledge” policy which means that they do not store any of your data (including passwords) within its own cloud or services, which means that in the unlikely event that their databases were ever hacked, they would hold zero information on you. As an extra-safe security measure, the company operates a 2-factor authentication process – which means that it requires a unique variable code to be inputted into your vault alongside your password before access is granted. A nice part of this feature is that you can set it up to be sent to your mobile device, so if someone guessed your password, they still wouldn’t have access unless they also had your mobile. The company is fully committed to keeping up-to-date with the best security measures and are continuously working to improve their security systems to always stay ahead of the game. This password manager software is as secure as it gets, offering a number of different features that give us total confidence in the company. Dashlane operates a “zero-knowledge” policy which means that it will never store any of your passwords or data within its own cloud or services. This is to ensure that potential hackers would never gain access to private and sensitive data even if they managed to break into the system. The only exception to this rule is if you select the “remember password” option in the app, which will ask you to re-enter your master password every 14 days to remain secure. Your private and sensitive data (think banking information, personal information, etc) is encrypted and stored locally on your device and cannot be accessed through the Dashlane servers. The only information that Dashlane stores on you is your email address and billing details if you have opted for the paid subscription. Password Storage – one of the best features of this software is its ability to store as many passwords as you like and automatically input them into your accounts. It does this in the safest way possible, encrypting your data and keeping it safe. You’ll never have to remember tons of passwords again and have to go through the farce of creating new passwords which you will inevitably forget again. Password Generator – chances are, that the passwords you currently use include the name of your home town and the year that you were born, or something along those lines. Using Dashlane software means that you can input complicated passwords without ever having to worry about forgetting them. The password generator will automatically create complex passwords that even the most seasoned hackers won’t be able to crack. Secure Documents – the Secure Notes feature will encrypt your private data and keep it safe from potential hackers. VPN For Extra Protection – Dashlane’s VPN (Virtual Private Network) offers the ultimate online safety. If you opt for the Premium Plan then this is included as part of the package. Not only does using a VPN encrypts your data for personal use, give you total anonymity and allow you access to your favorite TV shows no matter where you are in the world, but it also ensures safer online use in public areas too. Using public WiFi will never become a risk again. Dark Web Monitoring – Dashlane actually scans the internet for leaked or stolen personal information and will alert you immediately if anything is found, so you can take action ASAP! Identity Dashboard – gives you a complete view of your online security so you can see what steps you need to take (if any) for extra security. Secure Sharing – share documents and information with friends, family, and colleagues in the knowledge that it’s totally safe and secure. Emergency Contacts – you can add an emergency contact to your account, in the event of an emergency where a friend or family member may need access to your accounts. Sync Devices – another great feature of Dashlane is that you can sync the software across all of your devices. Dashlane provides a few different packages which are suitable for the occasional user and regular business user. Fantastic for those that don’t need the added features in the professional plan or users who would like to test the basic features before committing to a paid subscription. For larger organizations (51-500 users) there is a separate business plan which is priced at $3.00/mo per user and features all the above plus a dedicated account manager. 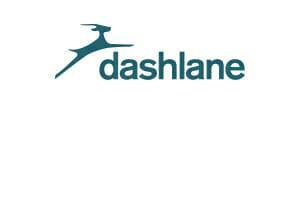 Above all, we feel that Dashlane offers good value for money across their personal and business packages. One of the most vital features of a password management service and one that is often overlooked is the support that is available. There is nothing more frustrating than paying for a subscription only to discover that you have a problem that can’t be fixed immediately. Dashlane has several support options available including a contact email address and an online chat feature for English speaking users. English, French and German support is provided via email too. There is currently no phone support, which we felt was a shame, as often this is one of the fastest ways to resolve issues. There is an extensive self-help section with articles which may answer your queries. Here you have the option to search articles or click into sections for specific help. As with many services, if you pay for the premium subscription then you are guaranteed faster response times as you’re top-priority. Lastly, the support team at Dashlane will never ask you to provide your private password so never provide this information to anyone under any circumstances. Thank you for your feedback about Dashlane. It is good to hear about different user experiences. DOES NOT WORK. Purchased Dashlane software based largely on online reviews. Installed fine, but unfortunately when I went to actually change a password, the menu option to do so was missing. Worked with Dashlane customer support opening two separate tickets, they had me waste hours uninstalling and reinstalling the software, to no avail. Never worked. Then when I asked for a refund, they refused. Worst experience with a software app in years. We’re sorry to hear about your bad experience with Dashlane. What was the nature of their refusal of your refund? Did they give you a reason?